Mrs. Vivian E. (Eckelman) Rummler, 94, joined her late husband Herbert Rummler in heaven on Sunday, August 26, 2018, at the Fulton Center, Gloversville. At the time of her passing she was comforted by her family. Vivian was born on September 19, 1923, in Amsterdam, NY. She was the daughter of the late George and Anna Clearly Eckelman. She attended and graduated school from St Mary’s Institute in Amsterdam. Vivian enjoyed playing cards at the Johnstown Moose and was always ready for a tournament. 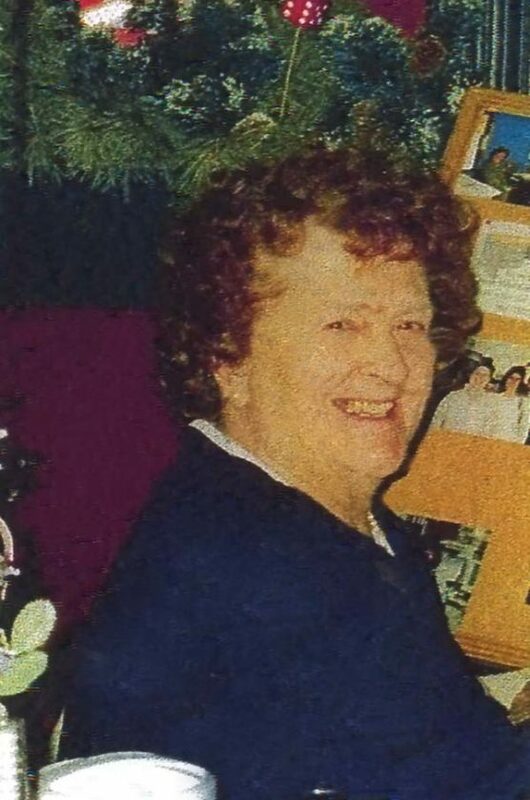 She loved attending sporting events and school activities for her children and grandchildren, and traveling to visit family and especially her trips to the casino. Her co-workers from Lexington always knew when she had a profitable trip when she showed up Monday morning with pastries for all. Vivian also enjoyed her years of employment with Nathan Littauer Hospital and loved her final stop with Lexington Center where she ruled the copy room and retired at 77 years of age in 2000. She took cherished memories and lasting friendships from Lexington. Her greatest sense of joy came from being a wife and homemaker for her husband and five children. She was married to the late Herbert Rummler on February 11, 1942, and they settled in Gloversville. Vivian is survived by her children, David Rummler (Marretta Lord), Dawn Nilsen, Robin (John) Walrath; twelve grandchildren; ten great-grandchildren; several nieces, nephews, great-nieces and nephews. Besides her parents and husband, she was predeceased by her son, Richard and Lyndon Rummler; brothers, George, Louis, Arnold, Edwin, and Richard Eckelman. She always wanted the very best for her family and was a big support to all of them. Friends and family are invited to attend a memorial Mass of Christian burial, 10 a.m. Saturday, September 1, 2018, at Church of the Holy Spirit. In lieu of flowers, memorial contributions may be made to St. Jude Children’s Hospital, 501 St. Jude Place, Memphis, TN 38105. Online condolences to www.amicofuneralhome.com.